Two months have passed since my return from South Korea and I suppose my transition is well underway. I’ve been busy with volunteer work at The Writers Place and as a manuscript reader and occasional proof-reader at New Letters Literary Magazine at the University of Missouri at Kansas City. I attend every reading I can, every community writing class and workshop that holds interest for me, and a remarkable number of live performances. I’ve already seen two operas, a ballet, two modern dance productions, a performance by Quixotic, a piano recital and a play at the Unicorn theater. I even wrote a 50,000 word novel. To top it off, I will start teaching at the Blue River Campus, Metropolitan Community College in January. I knew while living it that my life in Korea would pass very quickly, so I made it a point to pay careful attention to every possible detail while there. Now my memories are filled with details that cannot be captured with words or digital images but can be re-experienced through daydreaming and reminiscing with friends. They are not easily shared with strangers. Time will inevitably lessen my loneliness and disconnection and soften the acute edges of my remembered truths, though I do not wholly welcome it; for with time comes distance between myself and a difficult adventure I want always to remember in vivid detail. 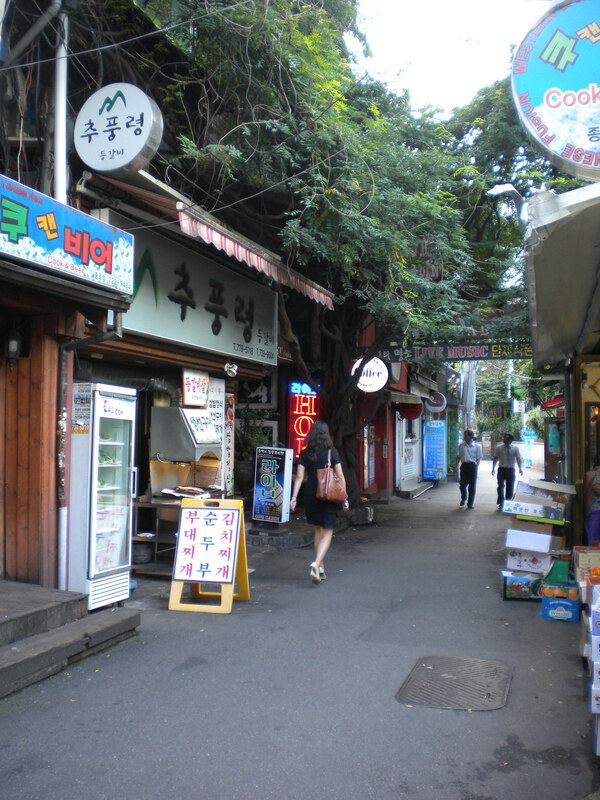 This entry was posted in Tales From South Korea and tagged Tales of Kansas City, Zingara Travels on December 1, 2010 by Lisa M. Hase-Jackson.